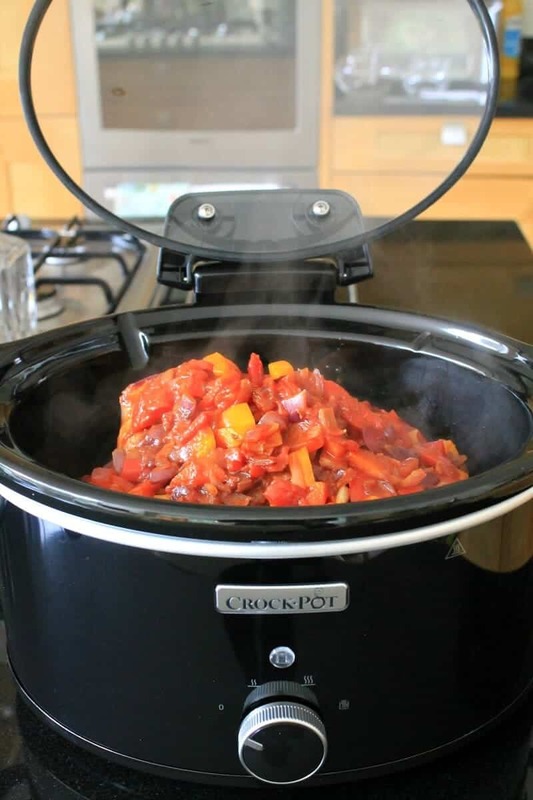 The main reason I use my slow cooker so much is because it means I can do the food preparation in the morning or just earlier in the day, and then leave the food cooking all day so it is ready at dinner time. In this way I don’t need to start the cooking when I’ve just finished work and the children have finished school, everyone is tired and hungry. It is already done! I’ve gathered together my favourite family slow cooker recipes to make a resource to look at when I’m meal planning, making the shopping list, or just want to mix up the weekly menu a bit. I hope you will find it as useful as me. 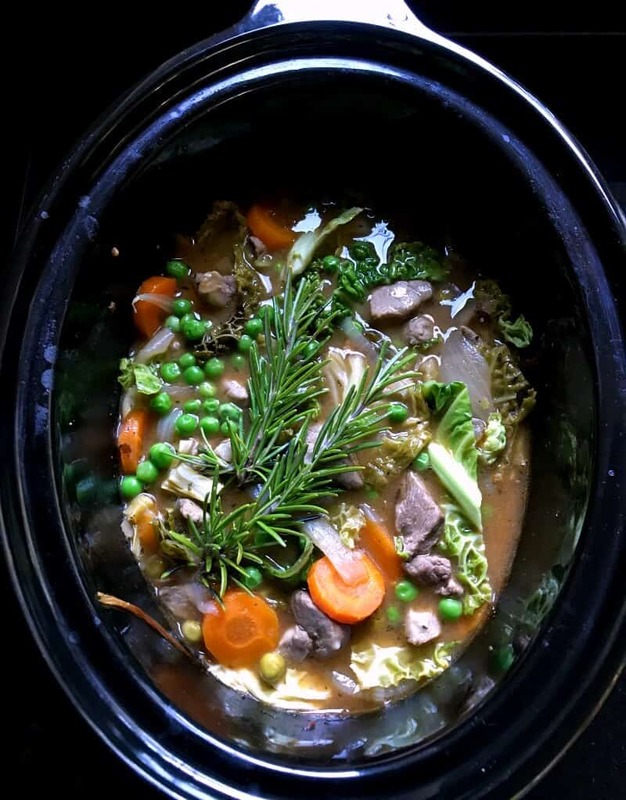 Using a slow cooker means I can take the children to their after-school clubs and activities, and I can serve up their meal as soon as we get home, without a lot of stress. You can make all your family favourite dishes in the slow cooker. Here I’ve gathered together my favourite family slow cooker recipes that are always a hit at dinnertime. They are all easy to make so you don’t have to spend hours preparing the food. Slow cooker bolognese sauce is a regular on our meal plan. Whatever vegetables are in the fridge and need to be used up can be added too, and if your children don’t like veggies, you can grate them in so they won’t see them in there. 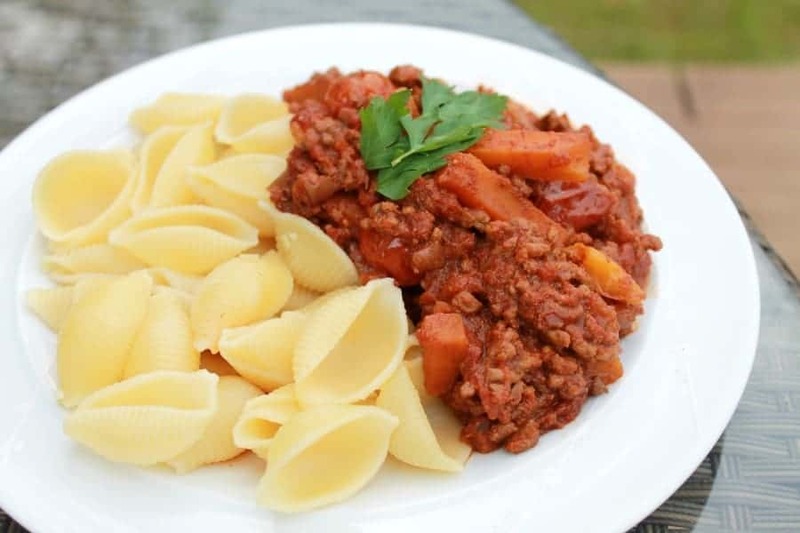 A lentil bolognese full of vegetables is a veggie alternative which is also very low-cost and goes down well with the family too. 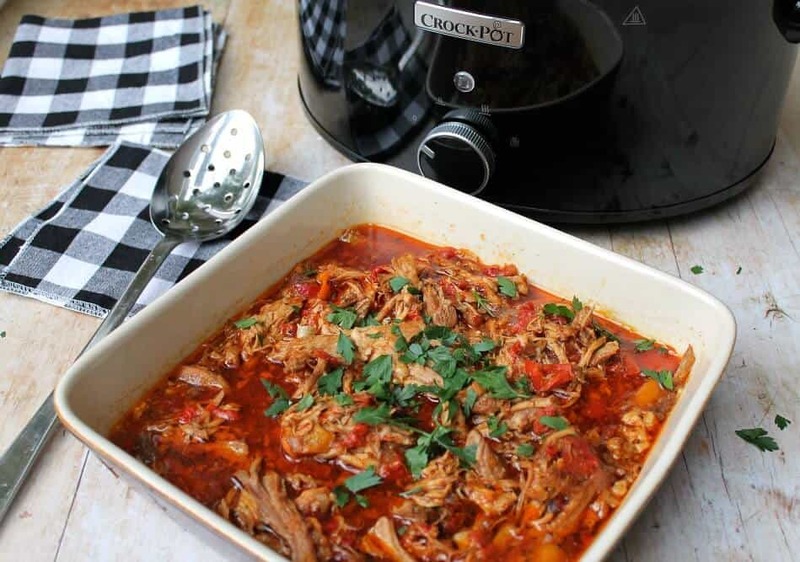 For something a bit different, slow cooker paprika pork goulash can be served with mash, pasta or rice. Chicken thighs in a tomato and pepper sauce are another massive favourite here, and so tasty from using flavourful chicken thighs, as well as very frugal. 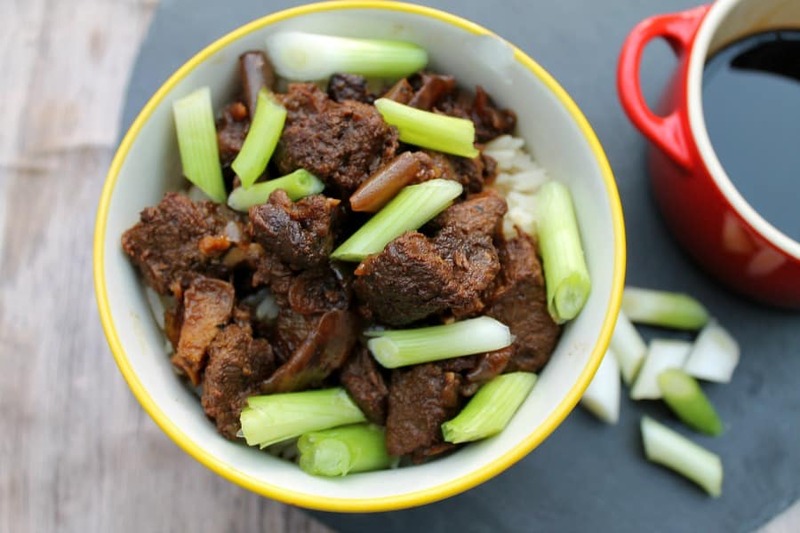 For something a bit different, you could try slow cooker teriyaki beef with a simple homemade sauce that soaks into the rice. One-pot meals are of course a great family option. You can make them in your slow cooker too, saving time and on washing up! 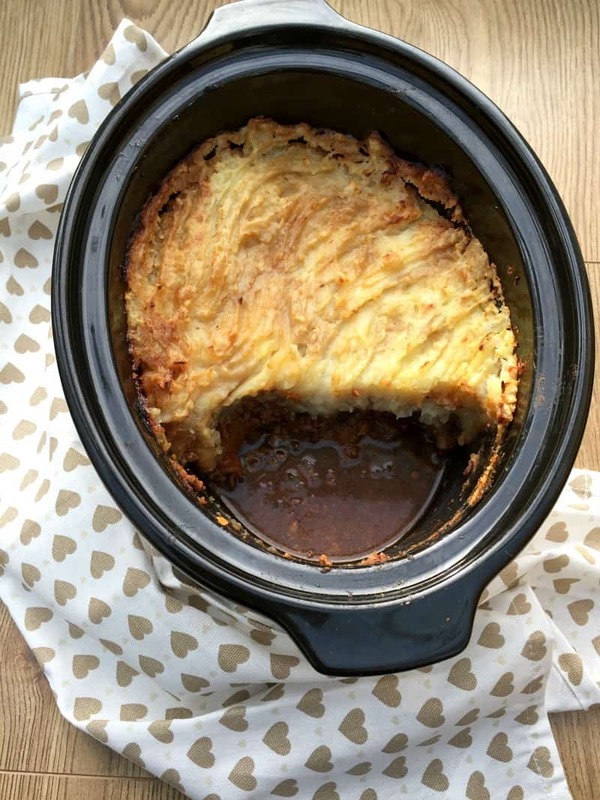 Slow cooker shepherd’s pie is one of the real favourites for family meals in our house. 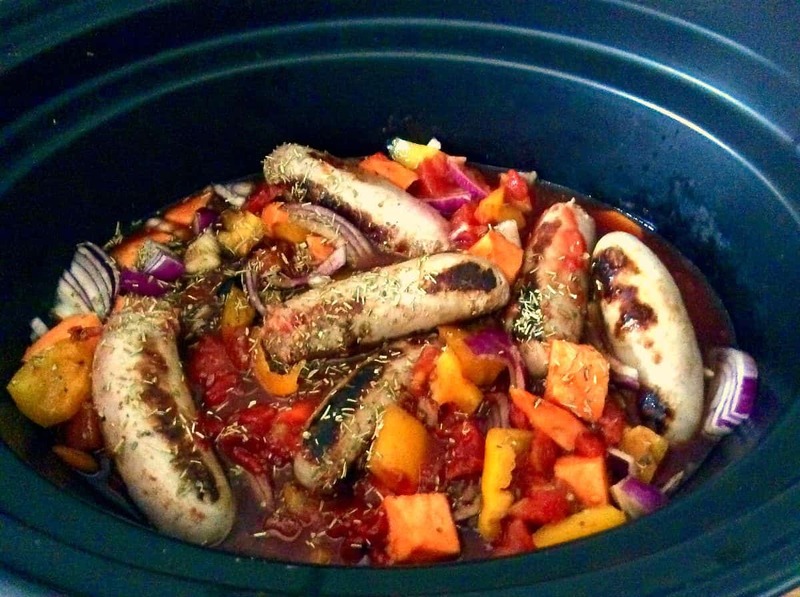 I love that it is a one-pot meal so once it is in the slow cooker basically dinner is done! I’ll just cook some vegetables to have on the side. 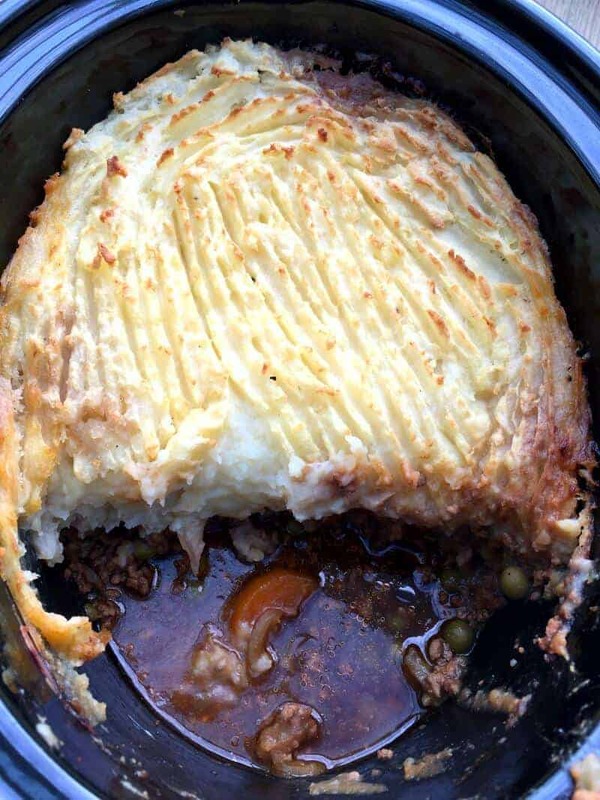 My family also like slow cooker cottage pie, this is always polished off really quickly. This is a favourite with me too as again you use less dishes than when you cook a cottage pie in the oven! Plus with a one-pot dish like this you can again just add some vegetables and your meal is complete. 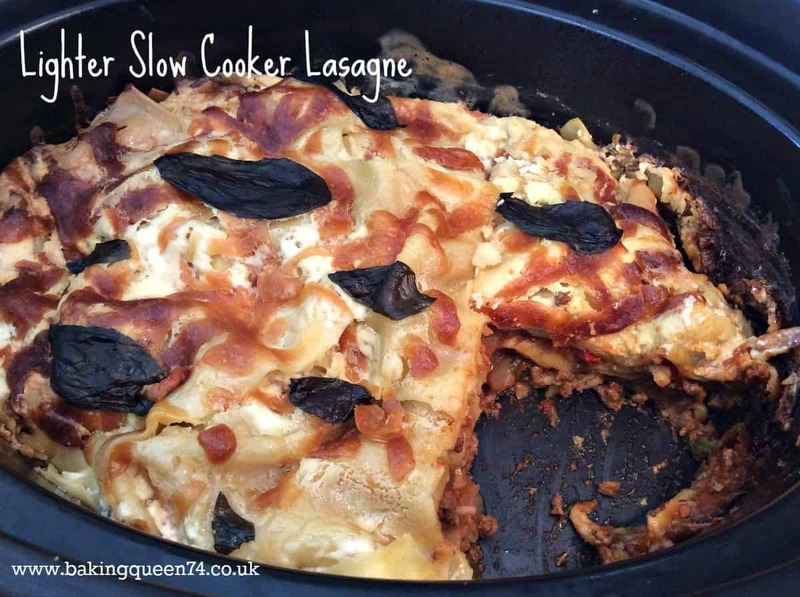 Slow cooker lasagne is also another recipe which I make again and again for the family and which the kids love. In my recipe you don’t need to cook the meat sauce through first which adds more time, you just brown the meat, make up the sauce then get layering! 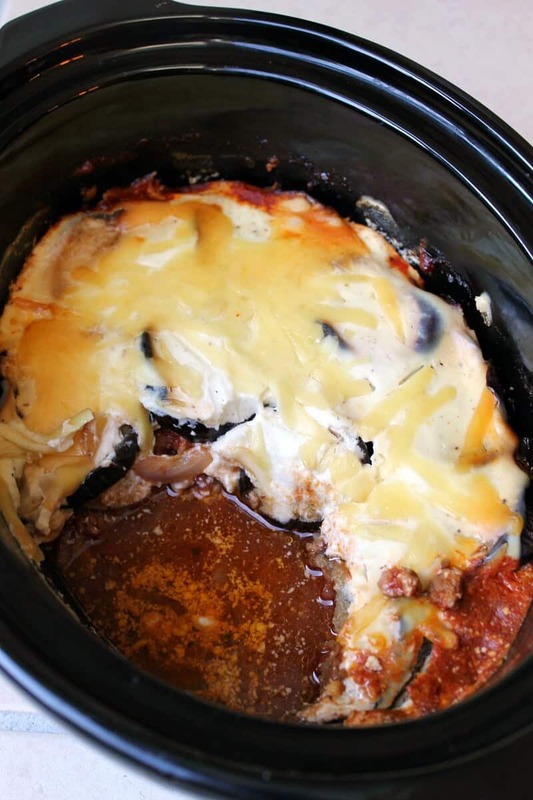 Slow cooker moussaka has also become a favourite with my family. The minced-lamb filling is layered with aubergine slices then topped with a lightened up white sauce and sprinkled with cheese. Another one-pot meal which is so simple to put together! When the weather gets cooler, casseroles and stews come to the fore, and the slow cooker is of course the perfect tool for making a casserole! If you are short on time and have hungry kids who need feeding as soon as you get home, you can serve your casseroles with crusty bread and vegetables. If you have a little extra time you can serve with mash, pasta or rice as well. Slow cooker beef stew with chorizo has a lovely smoky flavour from smoked paprika and chorizo so is a lovely warming dish. 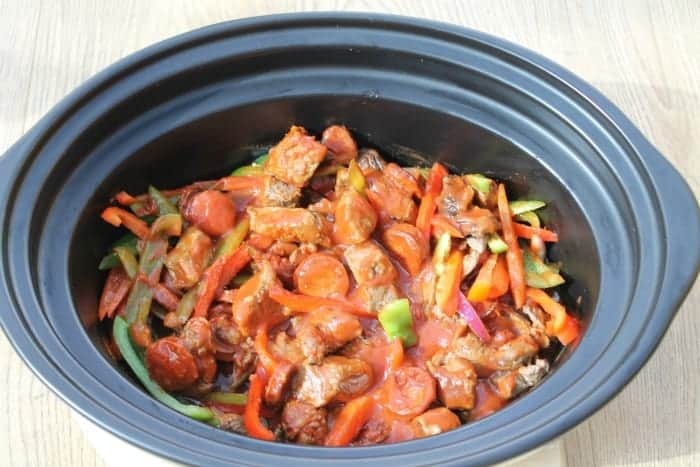 Slow cooker sausage casserole is a simple dish which just uses store cupboard ingredients, and is great for children of all ages. Brown off the sausages before adding them to the pot to stop them looking too anaemic. This is a great recipe for getting the children to eat more vegetables too. We also love slow cooker lamb casserole for a change, and this dish also smells so good as it cooks. With rosemary and mint sauce to really bring out the flavour of the lamb, its one of those moreish dishes that make you need a second helping! 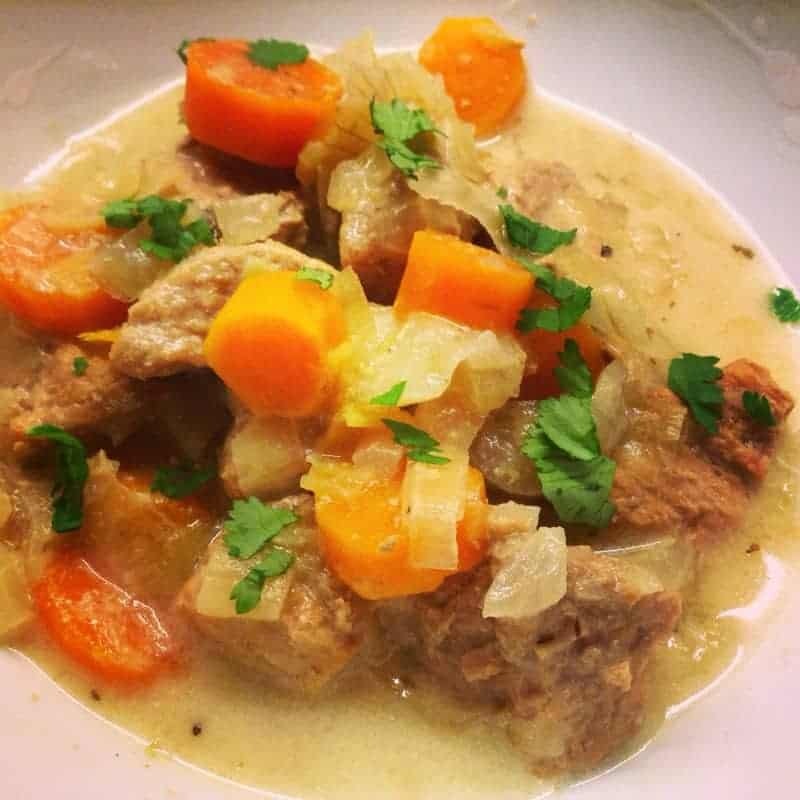 Pork, leek and apple casserole is great for toddlers as well as older children because the meat is made so tender by the long slow cooking time. Ideal for when you want a Sunday or midweek roast dinner, pop a joint of meat in your slow cooker and it will usually just take minutes to prepare so you can get on with a busy day. Later your roast will be ready for you and you’ll only need to prepare the side dishes to go with it. 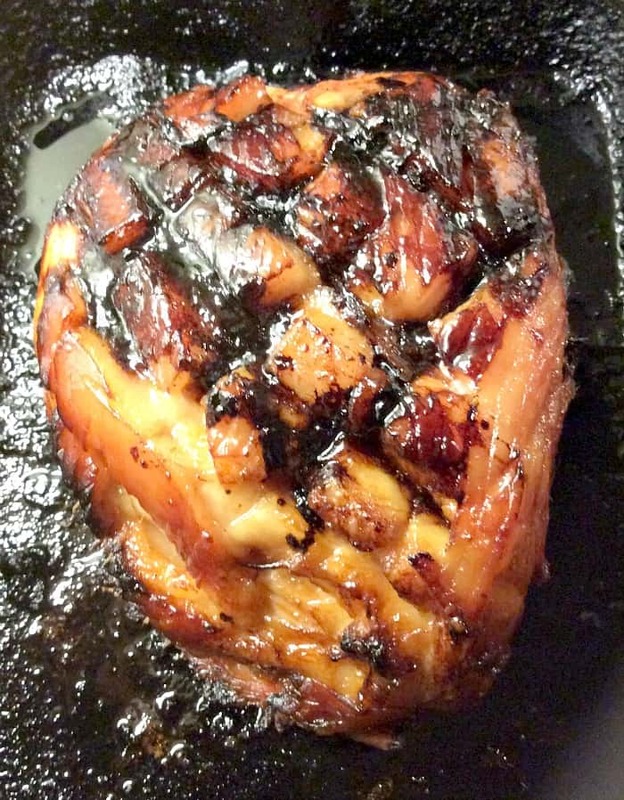 Slow cooker gammon (or ham) is a recipe we come back to again and again. Cooked in apple juice and then glazed with maple syrup and then browned off in a hot oven, this is a winter staple for us, and great for Christmas as well. 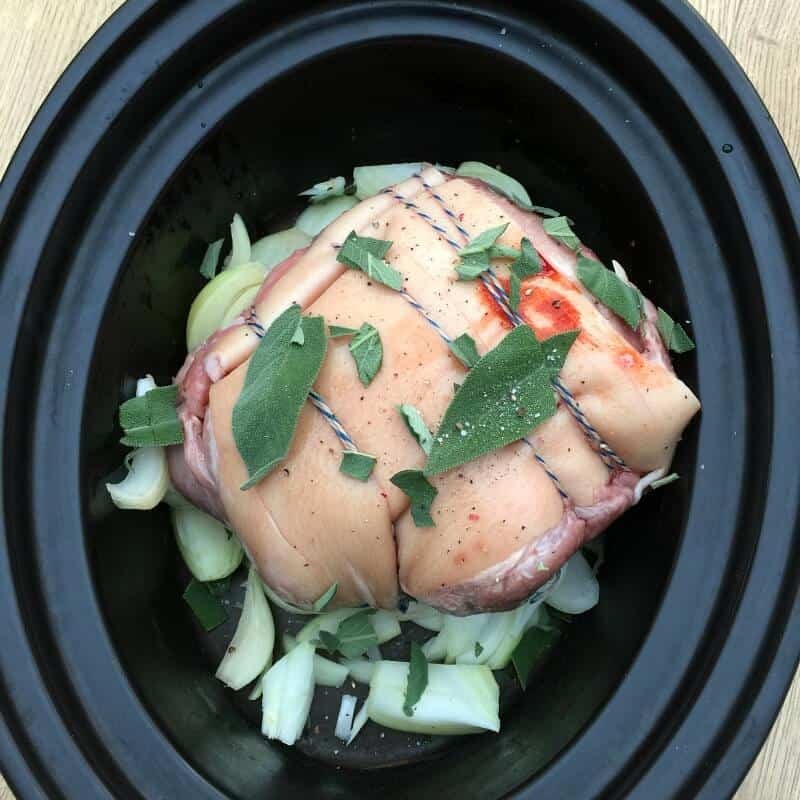 Slow cooker roast pork with sage and onion is perfect for a Sunday roast. Make the crackling while you prepare your roast potatoes and vegetables. I also always find that lamb works so well in the slow cooker, whether a leg or shoulder joint. 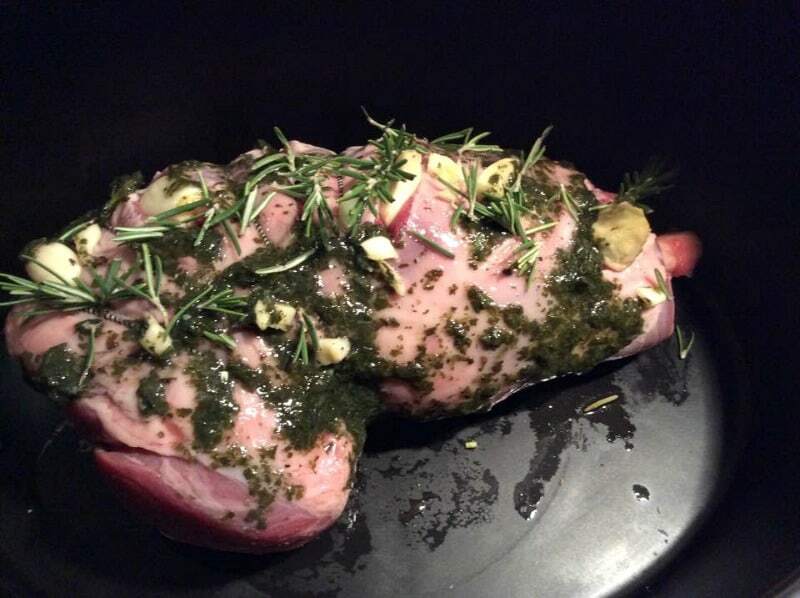 The classic rosemary and garlic combination, with mint sauce, is always a winner. 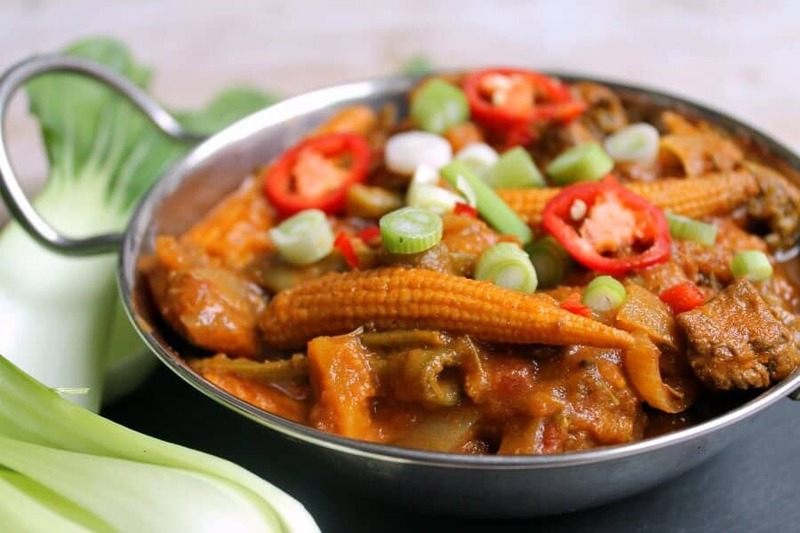 If your children enjoy mild curries, a slow cooker curry is a good option that can feed the whole family. For the adults you can add some fresh chilli on serving if you like it a bit spicier. 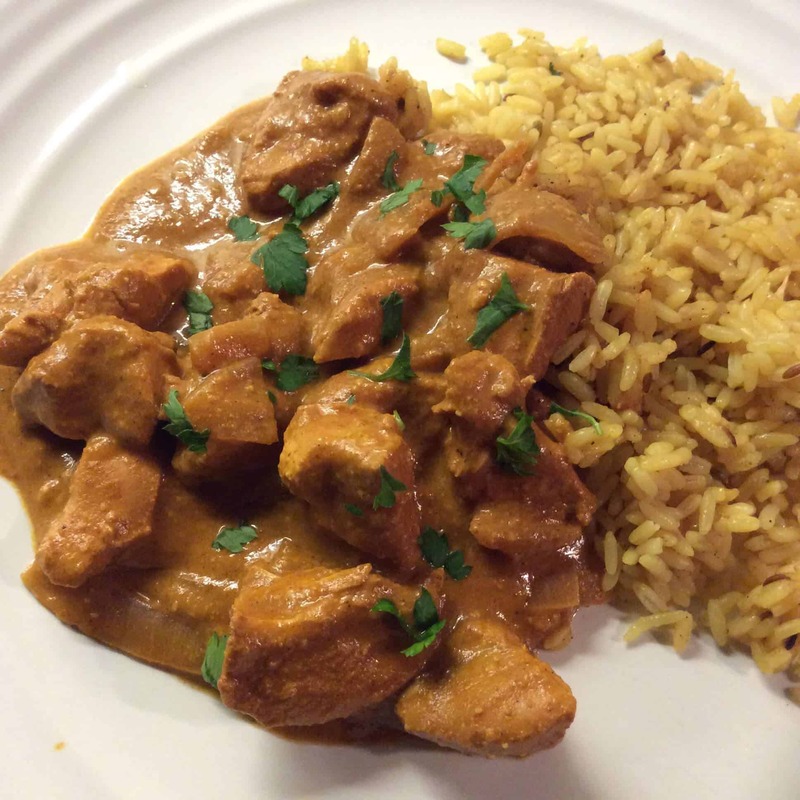 Slow cooker chicken pasanda made with coconut milk and ground almonds to thicken the sauce is creamy and very tasty and great served with mini naan breads for dipping into the sauce. 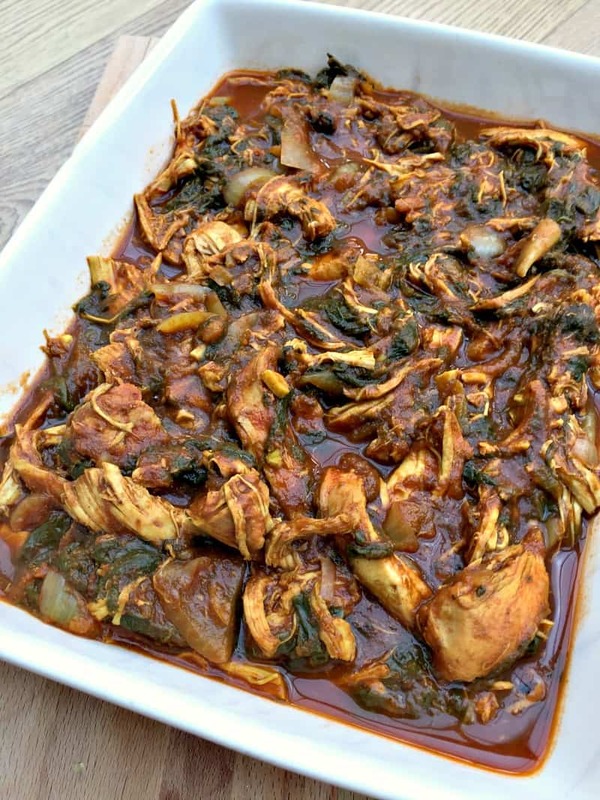 Another mild curry option is slow cooker chicken saag with fresh spinach cooked into the sauce. The beauty of this is that it is a really healthy option too. You could also try my slow cooker coconut beef curry. Serve plain for children and then add the spring onions and slice chillies for those with more adventurous tastes! 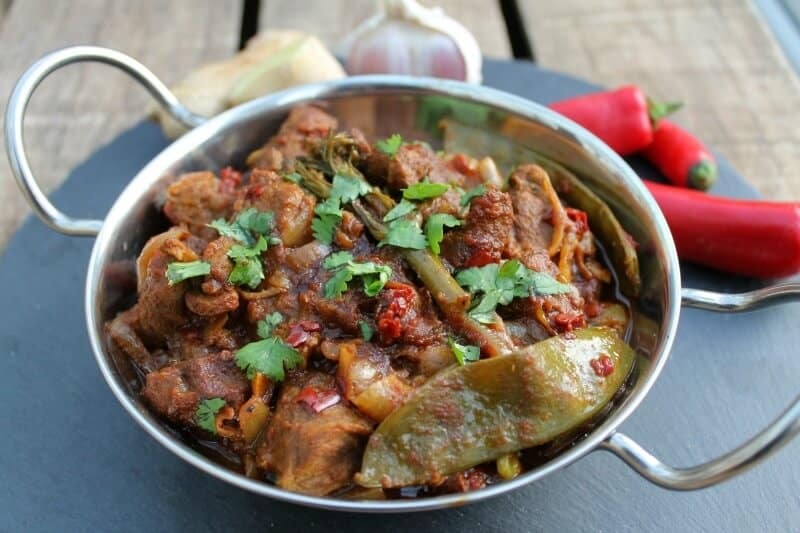 A lamb curry with meltingly soft and tender meat from slow cooking is also great for children. Again if needed, you can leave out the fresh chilli and add it later to make it milder. 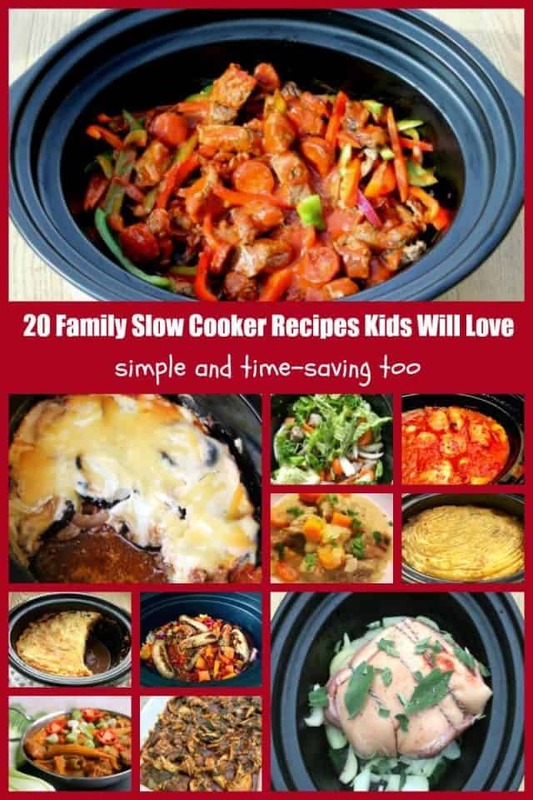 I hope you have found some recipes to try here in my post on family slow cooker recipes that kids love. There are lots more recipe ideas in my slow cooker archives, along with slow cooker desserts you can make at the same time for pudding if you have a second slow cooker!